Apr. 15 (NBD) -- A commercial complex in Beijing owned by debt-ridden Jia Yueting, LeEco's founder, failed to attract any bid on Monday, which is the second time this year that the online auction for the property has gone bad. 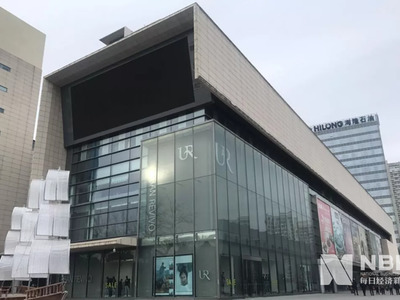 The building for sale, Shimao Gongsan, is valued at around 3.289 billion yuan (490 million U.S. dollars) and is offered with a starting price of 2.187 billion yuan, 115 million yuan (17 million U.S. dollars) lower than the first auction early this year. Covering an area of 40,000 square meters and having an overall floorage of 212,000 square meters, the complex, which Jia bought two years ago for approximately 3 billion yuan, is considered to be valuable compared with other assets owned by him. The auction, commissioned by the Beijing Third Intermediate People's Court, has drawn more than 50,000 views, but only one person signed up for the auction and paid the 109-million-yuan guarantee, according to the auction site powered by Alibaba. Jia has been struggling to convert assets like Shimao Gongsan into cash after a capital crunch in 2017. He has been blacklisted as a debt defaulter by Chinese regulators for failing to repay billions of yuan of debts. It's also noticed that Jia unloaded about 8,670,000 shares in Shenzhen-listed Leshi Internet Information & Technology Corp Beijing ("Leshi") from April 5 to April 12. Jia previously said in an email that the cut-back on stocks was to discharge the debts, according to a statement of Leshi. Calculated based on the recent average trading price of Leshi stock, 2.63 yuan per share, the shares Jia reduced were valued at 22.8 million yuan or thereabouts.